Sometimes I am all about fast and easy recipes. Sometimes I like making complicated and time consuming meals. And sometimes, I take a fast and easy recipe and make it complicated and time consuming. This is one of those times. Originally a crockpot lasagna, this Cooking Light recipe calls for commercial pesto and jarred tomato sauce. I like to make my own for both of those, so I did. Being Cooking Light, it also called for low fat cheese... and I just don't do that. I replaced the provolone-mozzarella blend with fresh mozzarella, but I did use part-skim ricotta. I also just baked it in the oven for 45 minutes instead of using the crockpot. I don't think that that part really matters. All in all, we really enjoyed this lasagna. Its a nice change of pace from the usual lasagna, and we didn't miss the meat at all. If you want to try it out in the crock pot, check out the original link. Preheat the oven to 425. Spray a casserole dish with nonstick cooking spray. Steam the spinach and drain the excess moisture. Combine the mushrooms, pesto, spinach in a small bowl and set aside. In another bowl, combine 3/4 cup mozzarella, egg, ricotta, and 1/2 cup of the Parmesan cheese. Combine the tomato sauce with the pasta sauce. Spread 1 cup of the pasta sauce in the bottom of the saucepan. Layer 3 lasagna noodles, followed by 1 cup of the spinach mixture and 1 cup of the cheese mixture. Repeat the layers, following the order of pasta sauce-pasta-spinach-cheese. Sprinkle remaining parmesan and mozzarella over the top. Bake, covered, for 30 minutes. Remove the foil and bake an additional 15 minutes, until top is bubbly and golden. Bridget told me that I must make this cake. So I listened, because she knows her stuff. Now I'm going to tell you: you must make this cake. It is crazy good. I had actually seen it in Cook's Illustrated, but kind of skimmed over it. It doesn't seem like much... just a simple apple cake. But it is really really delicious. You are hit with apples from 3 sides: applesauce, apple cider, and dried apples. Then you feel the warmth of fall spices from cinnamon, nutmeg, and cloves. The result is an incredibly moist, light, apple-y cake. Preheat oven to 325. Line an 8-inch square baking dish with foil or parchment paper, and spray with cooking spray. Whisk flour, and baking soda in a medium bowl and set aside. In a second medium bowl, mix together the sugar, cinnamon, nutmeg, and cloves. Measure out 2 Tablespoons and set aside in a small bowl for the topping. In a food processor, puree the dried apples with the applesauce until smooth, 30 seconds or so. Scrape down the sides of the bowl as needed. Whisk together the egg and salt in a large bowl. Whisking continuously, add the sugar mixture; whisk until it is well-combined and light yellow, about 20-30 seconds. Add the butter in 3 additions, whisking after each. 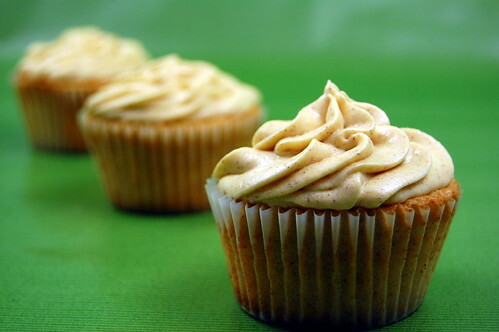 Whisk in the applesauce mixture and vanilla to just combine. Add the flour to the wet ingredients. Use a rubber spatula to gently fold the batter. Only stir until it is just combined and evenly moistened. Pour the batter into prepared pan. 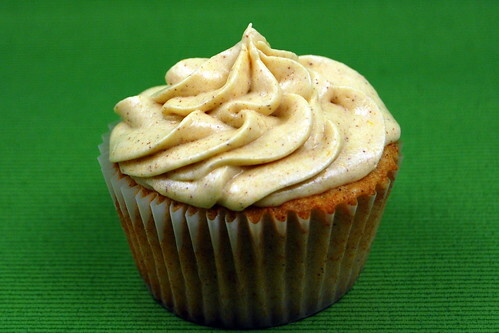 Smooth the top with a spatula, and sprinkle with remaining sugar-spice mixture. Bake until a wooden skewer comes out clean and cake has set, 35-40 minutes. Cool on wire rack to room temperature, about 2 hours. Run a knife along the edge to release from parchment. Life parchment to remove cake; cut into squares and serve. 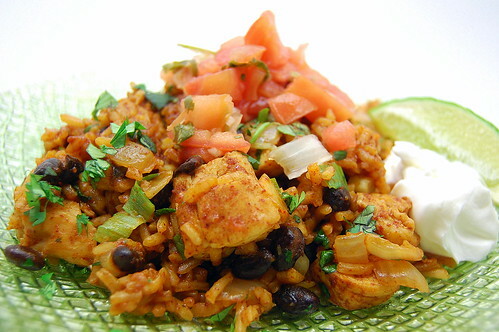 As I'm sure you have noticed by now, we are huge fans of anything with Mexican flavors. And now that I have begun to be able to handle more spice, I have been enjoying experimenting with more jalapenos, chipotles, etc. 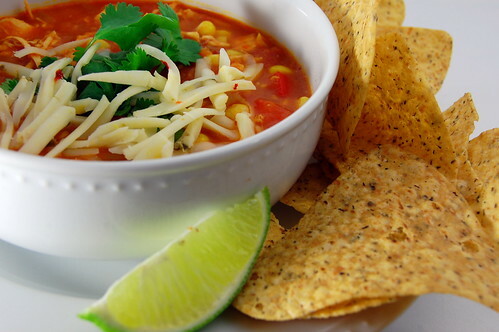 What can I say about this soup, other than it is my new favorite tortilla soup? I previously was partial to Ina's, but this one takes the cake. It should come as no suprise, given my previous successes with the Pastry Queen. I love the idea of roasting the tomatoes before pureeing them with canned tomaotes. This forms the most flavorful broth. The original recipe calls for dried ancho chiles, but I didn't see any in my local Publix. I just substituted a chipotle chile in adobo sauce. Have fun with the garnishes. I kept it simple with tortilla chips, cilantro, and Monterrey Jack cheese, but then I ate leftovers with some avocado, extra diced tomatoes, and salsa. Delicious both ways!! Preheat the oven to 350. Spread 1 Tablespoon of oil on a baking sheet. Slice the tomatoes in half, and lay them skin-side up. Drizzle with another tablespoon of oil and season with salt and pepper. Roast 25-35 minutes, or until the skins wrinkle and the tomatoes are beginning to brown around the edges. Meanwhile, heat the remaining 2 tablespoons of oil in a dutch-oven or 4-quart soup pot over medium heat. Sautee the onion, garlic, and bell pepper for 5 minutes, or until the vegetables become soft. Stir in the chili powder and cumin, and cook for an additional minute. Add the chicken stock and chile. Bring to a boil, and simmer about 15 minutes. Transfer the canned tomatoes with their juices and the roasted tomatoes to a food processor. Pour an additional 1/2 cup of chicken stock on the baking sheet that you cooked the tomatoes on, and scrape up any browned bits. Scrape into the food processor. Puree about 1 minute, until smooth. Add the tomato mixture to the soup, and continue simmering, covered, about 1 hour. Add salt and pepper to taste, the shredded chicken, and corn. Simmer an additional 5 minutes. To serve, ladle the soup into bowls and top with desired ganishes. I have been looking for an excuse to make this dish ever since I saw it on Inn Cuisine. I love eggs for breakfast, but since Caroline is allergic, I always feel guilty to make them, especially if its just for me. Well, I finally had my chance this week. My sister and niece were visiting for a few days, so I made them for us on Monday.... and then again on Tuesday. One of the great things about this recipe is that it can be easily adapted to many tastes and ingredients. Have leftover turkey from Thanksgiving? Just use that. Prefer sausage? no problem. Any combination of herbs and cheese would be wonderful. I actually used milk the first day, and yogurt the second, and either would be just fine. 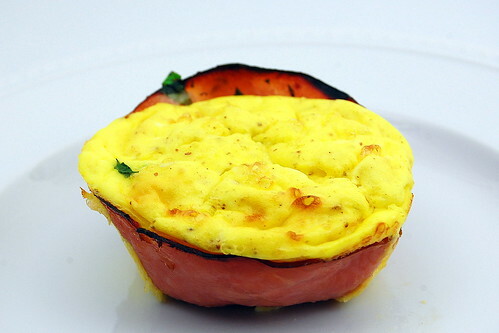 These are just so cute, and would be perfect for a post-Thanksgiving breakfast. Or any-day-breakfast! Preheat the oven to 375. Spray the bottoms and sides of individual gratin dishes or ramekins. Lay a piece of ham in each dish. Sprinkle each with 1 teaspoon of herbs, and top with shredded cheese. Whisk together the eggs, mustard, yogurt or milk, nutmeg, and salt and pepper. 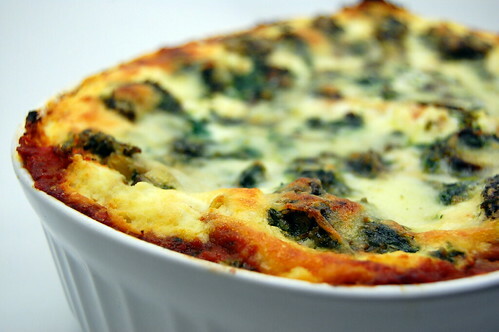 Evenly distribute the egg mixture to each dish, and top with additional cheese and herbs. 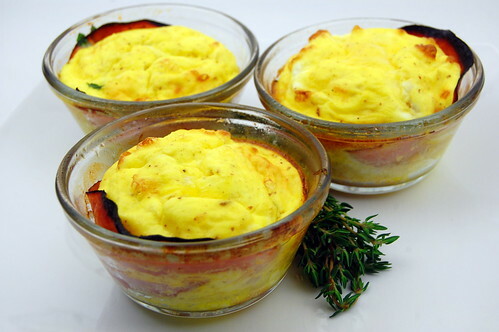 Place the dishes on a baking dish, and bake for 15-20 minutes, or until eggs are set and cooked through. 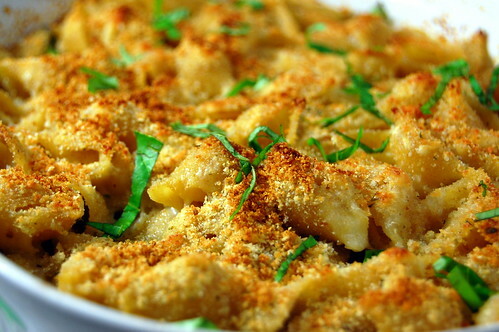 This is easily one of the easiest and tastiest recipes for macaroni and cheese ever. Amped up with Fontina and Parmesan Cheese, this is crazy good. I froze half, and I'm waiting for the perfect opportunity to break out the second pan....sometime soon, I'm thinking. With Thanksgiving just around the corner, this would be a great twist on the classic versions. After the Tomato-Mozarella Tart with Basil-Garlic Crust, I am dying to buy this cookbook. 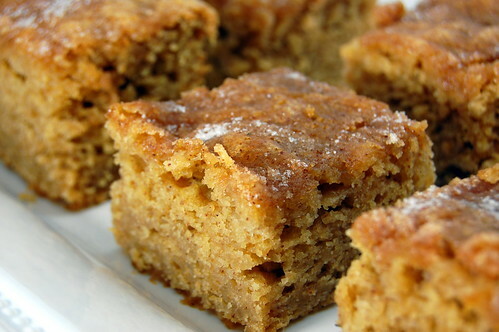 Thank you, Rebecca, for sharing such a rich and tasty recipe! Cook the shells according to package directions, boiling until they are 1-2 minutes short of al dente. Drain and set aside. Meanwhile, shred the fontina, and cut 5 tablespoons of the butter into Tablespoon portions. Cut the remaining butter into 1/2 inch cubes. Warm the cream and buttermilk in the microwave, then set aside and cover to keep warm. Stir the shells with the butter in a large bowl. Pour in the cream, and fold in the fontina until it starts to melt. Season to taste with salt, and add the nutmeg as well. Spread into a greased 9 x 13 inch baking dish. Top with breadcrumbs and Parmesan, then sprinkle the reserved butter over the top. Bake for 20 minutes, or until the top is slightly browned and the cheese is bubbling. Sprinkle basil over the top, and serve hot. So I am from the deep south. While I spent 6 years living in Atlanta (which I know people don't consider to be "the south" anymore) during my young adult years, I was born and raised in a semi-rural area south of Atlanta (which, incidentally is now a suburb. Gotta love that urban sprawl). Naturally, I have had my fair share of cornbread. Cooked with lard, in a cast-iron skillet cornbread. True, southern cornbread. Well, let me tell you that this isn't it. No cast iron skillet, no lard (but plenty of butter). With mix-ins such as extra-sharp cheddar, jalapenos, and scallions. And it is my favorite cornbread ever. It is lighter and fluffier, and more...cake-like than typical cornbread. In face, I have made it more than any other recipe from Barefoot Contessa at Home. But please don't make me turn in my sweet tea and monograms. Sift together the flour, cornmeal, sugar, baking powder, and salt. Combine the buttermilk, eggs, and butter. Make a well in the center of the dry ingredients, and pour in the wet ingredients. Stir until just combined. Mix in 2 cups of the cheddar, the scallions, and jalapenos and stir until just combined. Do not overmix! Allow the mixture to sit at room tempeature for 20 minutes. Meanwhile, preheat the oven to 350, and grease a 9 x 13 x 2 inch baking dish. Spread the batter into the baking dish, and sprinkle the top with the remaining cheddar and scallions. While I do enjoy complicated and intricate recipes, sometimes I just want a quick, one-pot dinner. This recipe is seriously one of the easiest and fastest that I've thrown together in quite some time. Don't let that fool you though; this packs some serious flavor. I was intrigued by the Moroccan spice blend used for the lamb - cumin, cinnamon, and cloves. I am also a huge fan of roasted red peppers and feta. The lamb patties were so flavorful - smoky with a little sweetness and warmth from the cinnamon and cloves. And we both really loved how the feta caramelized a bit in the oven. Joey commented that this would be great as a burger, and I agree. The original recipe suggests serving with warm pita, but I somehow missed that line when making my grocery list. I think it would be wonderful though, and will definitely remember to whip some up next time I make this dish. In a large baking dish, toss the peppers, onions, cheese, and red pepper flakes with 2 1/2 Tablespoons of the olive oil. Season with salt and pepper. In a medium bowl, knead the lamb with the cumin, cinnamon, cloves, 1 1/2 teaspoons salt, and 1/2 teaspoon of pepper. Form into 4 4-inch patties, and arrange over the pepper mixture. Drizzle the remaining olive oil over the tops. Roast for 25 minutes, or until vegetables are very tender and the lamb is cooked through. Sprinkle the parsley over the top and serve with warm pita. My third recipe for this week is Ina's Chicken Chili. I am hugely torn on this, because of my love of my other chicken chili. I feel guilty.... because I could possibly like this one even better :-( Don't get me wrong; I love the ease of the crockpot and the 4 ingredients. But this one is just so different than the norm. In fact, I have made it twice in the last week. We just really enjoyed it. I did make a few additions and changes to Ina's original recipe. I don't consider it chili without beans, so I added a can of pinto and a can of white beans.... just because that's what I had on hand. Any bean would work - black, kidney, etc. I also omitted the basil because my plant died before I could bring it inside from the blistering cold. The first time I made this, I ended up adding extra spices while it simmered, so when I made it for the second time, I just went ahead and doubled them all, and I threw in a diced chipotle pepper for good measure. And finally, I used boneless skinless chicken breasts instead of bone-in skin-on. All of my changes are reflected below. 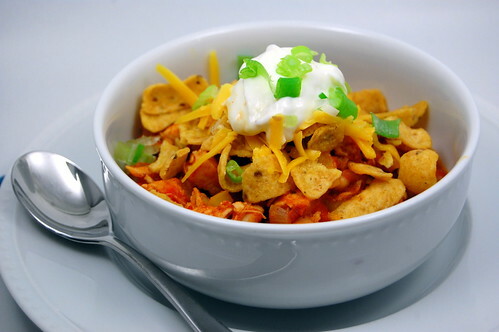 Garnish this however you like; we like Fritos, cheese, green onion, and sour cream. 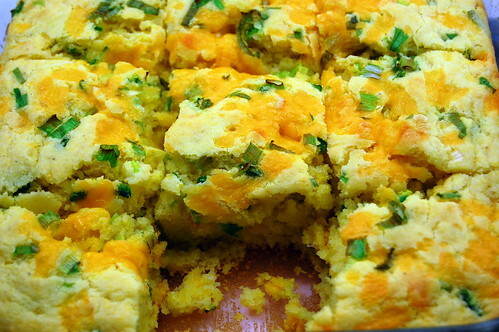 And serving with cornbread is a must - we really like Ina's jalapeno cheddar cornbread (stay tuned for the recipe)! adapted from The Barefoot Contessa Parties! Preaheat oven to 375. Place a piece of foil on a baking sheet, and place chicken on top of foil. Season each with salt and pepper, and fold foil around chicken breasts to make a "packet." Roast 40-45 minutes, or until chicken has cooked through. Allow to cool enough to handle, and chop into bite-sized pieces. Meanwhile, heat olive oil in a large stockpot or dutch oven. Sautee onions 10-15 minutes, or until softened and translucent. Add chopped bell peppers and all the spices, and cook an additional 5 minutes. Roughly chop the tomatoes; either use your hands to break them apart as you add them to the pot, or pulse a few times in the food processor. Add tomatoes and their puree to the onions and peppers, and bring to a boil. Reduce heat, and allow to simmer, uncovered for 30 minutes. Stir occasionally. Stir in the chicken and beans, and allow chili to simmer for an additional 20 minutes. Serve with desired toppings. This week, expect to see several recipes from the great Ina Garten. My Barefoot Bloggers group is having a bonus recipe challenge, called "A Week with the Barefoot Contessa." We will blog a different recipe each day. I was very excited to take on this challenge. Partly because of how much I love her recipes, but also because I was able to try out some new ones that I might not have made otherwise. However, this is not one that I would have ignored. In fact, I already had it on my menu for last week before the challenge was even announced! 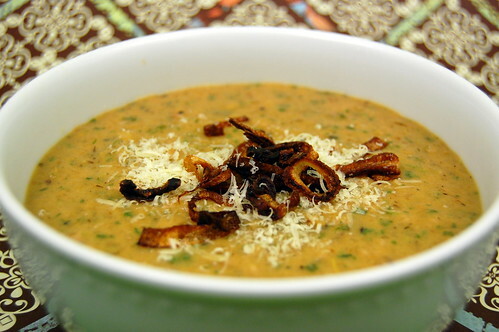 I really love baked potato soup, and this was a wonderful, more 'grown-up" version. I have to admit that I was a little intimidated by leeks. Cleaning out the sand seemed scary to me for some reason. But I needn't have feared. It was no big deal, and I am now officially in love with leeks. Unless Mike Isabelle is preparing them to look like scallops (Top Chef, anyone?). Other than halving the recipe, I made a few minor changes: I used russet potatoes because I had some on hand, subbed fat-free half and half for heavy cream, and used light sour cream instead of creme fraiche. I would like to say that those changes did not significantly affect the outcome. This soup was sooo good. Creamy, salty, comforting. And don't skip the crispy shallots. mmmm they are sweet, crunchy, and delicious! I actually just sauteed mine in a little butter and olive oil until they were starting to brown. While I really loved this soup, I think it would be extra delicous to toss a few garlic cloves onto the sheet pan with the poatoes and leeks. I will probably try that next time. Toss the potatoes and leeks with olive oil, 1 teasppon salt, and 1/2 teaspoon pepper. Lay in a single layer on a sheet pan. Roast 40 to 45 minutes, turning them with a spatula every 10-15 minutes. Cook until very tender. Add the arugula and roast an additional 4-5 minutes, until wilted. Remove the pan from the oven and place over two burners. Stir in the wine and 1 cup of chicken broth. Cook over low heat, scraping up browned bits from the pan. Working in batches, transfer the vegetables and pan juices to a food processor fitted with a steel blade. Add 5 cups of the chicken broth throughout the batches, and puree until the soup is mostly smooth, with a little texture, about 30 seconds. Pour the puree into a large stockpot or dutch oven, and add enough of the remaining stock to make a thick soup. Add the half and half, creme fraiche, 2 teaspoons of salt and 1 teaspoon of pepper. Stir to combine and check seasonings. When ready to serve, reheat the soup gently and whisk in 2 Tablespoons of white wine and the Parmesan cheese. Serve hot with an extra grating of cheese and the crispy shallots. I realize I have been awfully heavy on comfort food lately (not to mention that I have a backlog of posts that are almost all in that category), but something about the start of fall just makes me want to cook soups, chili, stews, and comforting meals. 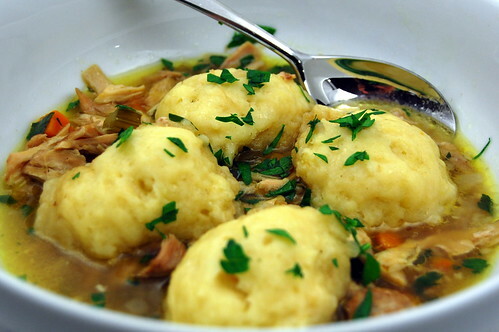 In an effort to keep the same delicious, comforting flavors without gaining 5 pounds overnight, I made these chicken and dumplings. Don't get me wrong. I wouldn't necessarily call it healthy, but it is definitely better than the cream-laden versions that I'm sure we're all used to. This particular recipe really lets the chicken flavor shine though, and they taste well, more chickeny. Now on to the recipe. I am absolutely in love with this. 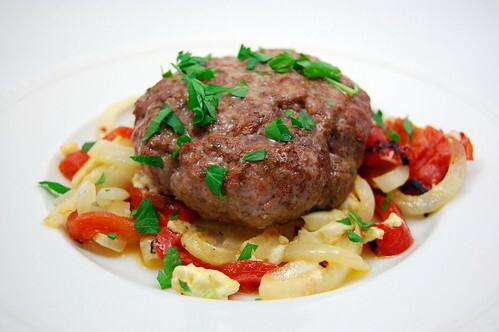 Hearty, comforting, delicous...a wonderful classic just amped up. Once again, Cook's Illustrated took out all the guesswork and created this wonderful dish. I used the recommended chicken thighs, but boneless, skinless chicken breasts can be substituted (with a little loss of flavor). You will just simmer them for 20-30 minutes, waiting for the internal temperature to reach 160. I was also a little torn on the idea of using chicken wings, but I think it really gave extra flavor to the broth, and the white meat was a nice addition to the thighs. It is definitely optional to add the meat from the wings, but it literally fell off the bone anyway; plus I don't like to waste food. The original recipe serves 6, but I halved it with no problems. This was a great Sunday night dinner, and the leftovers made for a hearty lunch the next day. Don't wait - make this soon!! Pat chicken thighs dry with paper towels and season with 1 teaspoon salt and ¼ teaspoon pepper. Heat oil in large Dutch oven over medium-high heat until shimmering. Add chicken thighs, skin-side down, and cook until skin is crisp and well browned, 5 to 7 minutes. Using tongs, turn chicken and brown on second side, 5 to 7 minutes longer; transfer to large plate. Discard all but 1 teaspoon fat from pot. Add onions, carrots, and celery to pot; cook, stirring occasionally, until caramelized, 7 to 9 minutes. Stir in sherry or wine, scraping up any browned bits. Stir in broth and thyme. Return chicken thighs, with any accumulated juices, to pot and add chicken wings. Bring to simmer, cover, and cook until thigh meat offers no resistance when poked with tip of paring knife but still clings to bones, 45 to 55 minutes (as a side note, when I halved this recipe it only took 35-40 minutes to reach this point). Whisk flour, baking soda, sugar, and salt in large bowl. Combine buttermilk and melted butter in medium bowl, stirring until butter forms small clumps; whisk in egg white. Add buttermilk mixture to dry ingredients and stir with rubber spatula until just incorporated and batter pulls away from sides of bowl. Return stew to simmer; stir in parsley and season with salt and pepper to taste. Using greased tablespoon measure (or #60 portion scoop), scoop level amount of batter and drop over top of stew, spacing about ¼ inch apart (you should have about 24 dumplings). Wrap lid of Dutch oven with clean kitchen towel (keeping towel away from heat source) and cover pot. Simmer gently until dumplings have doubled in size and toothpick inserted into center comes out clean, 13 to 16 minutes. Serve immediately.